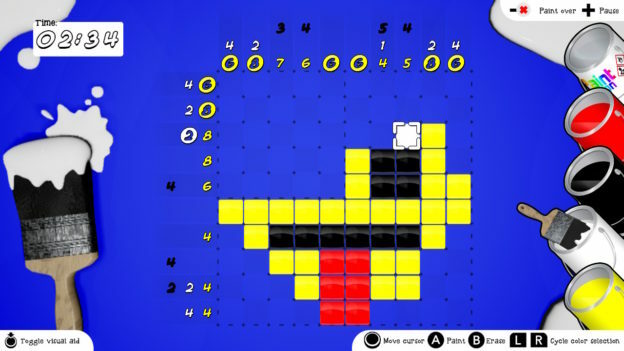 Developers seem to like nonograms (AKA Picross). 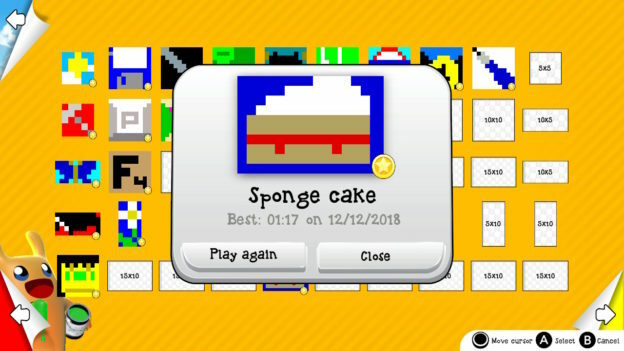 Searching the Switch’s eShop, I found at least seven titles that featured either nonograms, or variations on them, including Pic-a-Pix Deluxe, Piczle Lines DX, and now, Piczle Colors. With quite a number of similar titles, does Piczle Colors do enough to set it apart from the crowd? Before we go any further, I should say that the game is not marketed as a nonogram game: the eShop description doesn’t include the word at all. Playing through Piczle Colors, I can kind of see why, as there are some things that are different, but they are very slight, and it’s obvious that the puzzles at their heart are nonograms. Just be aware that there are some rule changes (there’s an in-game tutorial that explains them) but if you’ve done nonograms before like I have you’ll quickly adapt. If you have no clue what a nonogram is, just give it quick Google. The game contains 300 puzzles in it, ranging from 5×5 to 15×10, which should keep you occupied for a while. It opens with a little story, which is cute enough and a nice addition. What isn’t cute though, are the graphics. 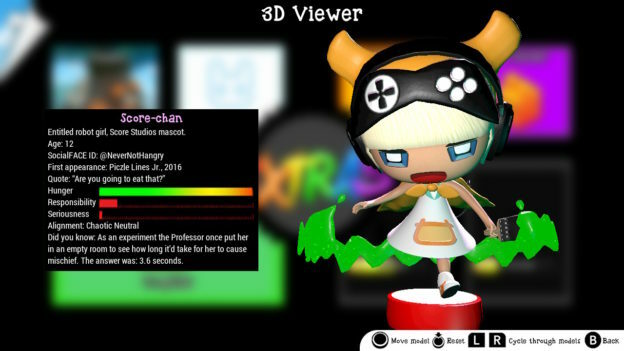 The presentation, menus, certain 3D models, and even the main font used look ugly, and are a constant eyesore during gameplay. I don’t expect blockbuster graphics in a puzzle game, but these were a definite letdown. Also, many of the hidden pictures are very bland and uninspired. There were occasions where I had no idea what they were supposed to be until the game told me, and sometimes it would still take me a bit to see how it could be that. The music is also mundane, but at least it’s tolerable. Gameplay too has some issues. Playing with the Joy-Cons is painfully sluggish, as it’s laggy and slow, leading me to switch to using the touch screen which smudges the screen quickly unless you have a stylus. There was also a glitch in the menu that let me access the last set of puzzles before I officially unlocked them. 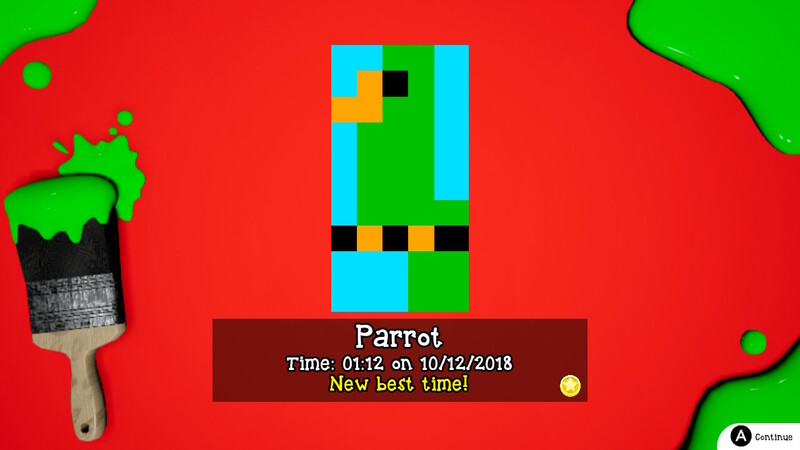 Though the levels do get harder as you progress, I thought they never got quite as hard as they should (I never felt the need to use a hint) though they aren’t horribly easy either. 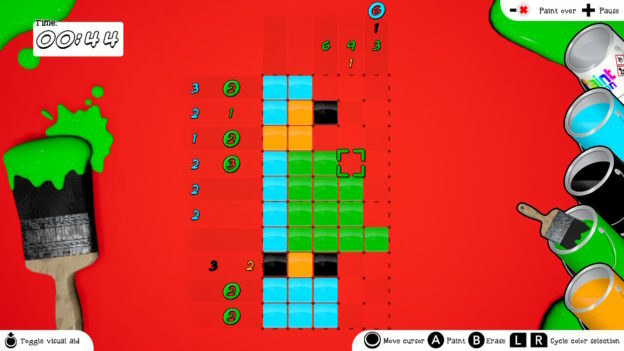 For example, many of the puzzles have you draw a whole line, or multiple lines, of one color, which requires zero thought. Overall, the game begs for a coat of polish and refinement. 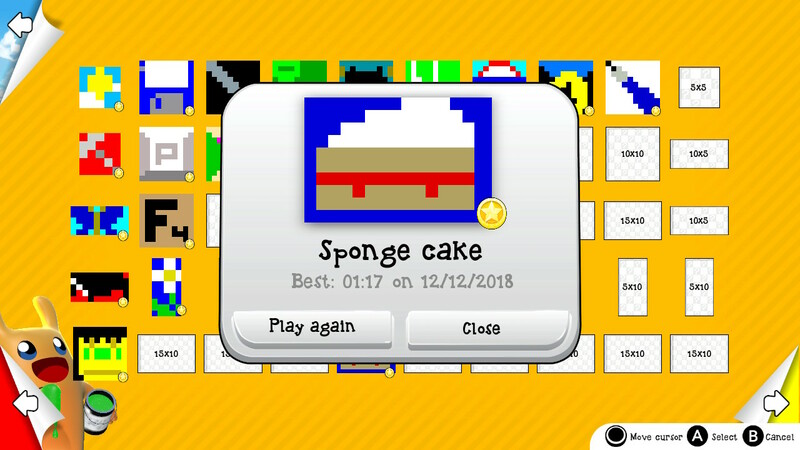 In the end, there is little compelling reason to play Piczle Colors, unless you are an inexperienced gamer who is new to games of this type. Almost every aspect of the game has issues, and there is nothing there to redeem it. The variety of similar titles you can find on the eShop doesn’t help it. At $12.00, it is the highest priced nonogram game I saw for the Switch. It has a demo available for it, so if it still sounds interesting to you go ahead and check it out. As for me, I’ll be looking at its competition. Piczle Colors has too many issues to be worth playing to me, but if you’re a younger or inexperienced gamer you may find a smidge of enjoyment here. Definitely check out the demo before spending anything.